If you are sewing for yourself, you have a chance to do something really special: You have the ability to put things together in a way that may be well above your means, but you have to do it smartly. 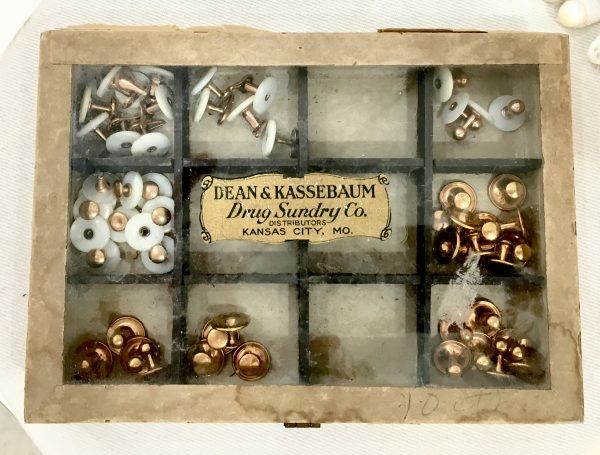 Early 20th century retail display for shirt studs, collar studs, and cufflinks by Dean & Kassebaum of Kansas City. 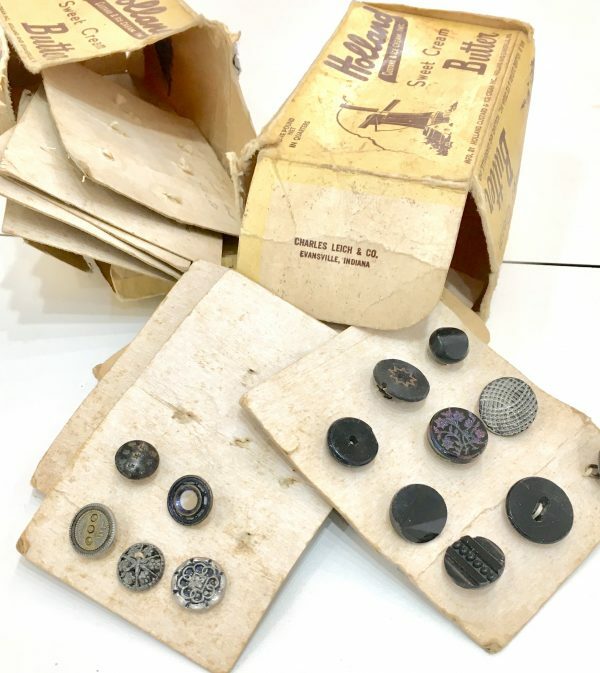 This is a small box of shirt studs, collar studs, and cufflinks that would have appealed to the working person who needed something a little nicer than what they had. If you look at the price in the lower right corner, you can see that they were priced at US¢10 each. That is the equivalent of about US$2.50 each today – affordable for the average person. They are gilded rather than plated, making them affordable and giving the average person a little self-respect. 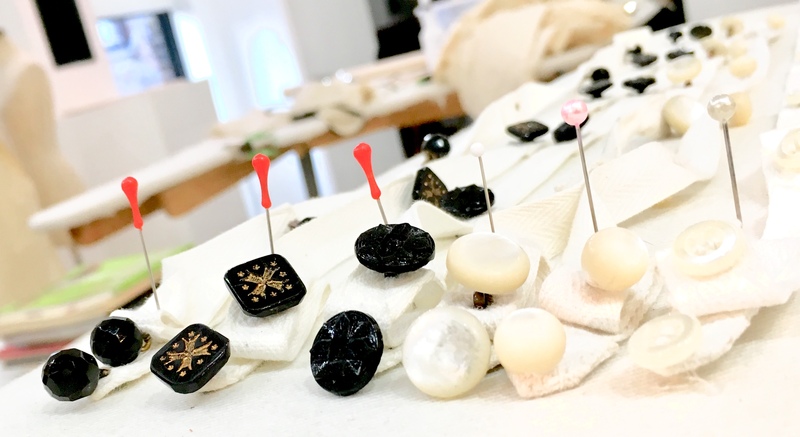 This idea of thinking of buttons as more jewelry than notions or findings is not new – you still see it in modern men’s tuxedo shirts – each side of the shirt has a buttonhole so the wearer can use studs instead of buttons. 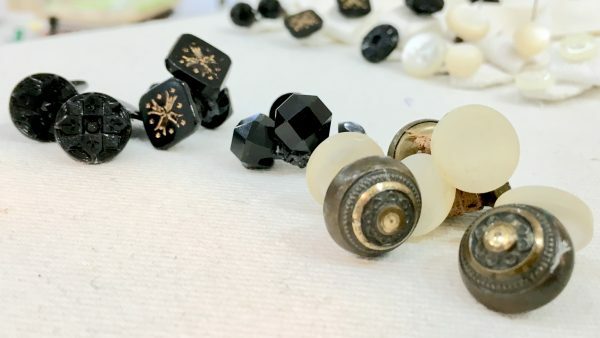 The problem with using studs and links instead of permanently sewn buttons is that, like earrings and other jewelry sets, if you lose one you are compromised and if you lose two you now have a really lousy set of paperweights. We’ve come across a number of garments from the early 20th century (mostly men’s shirts) that still had their separate button plackets intact. 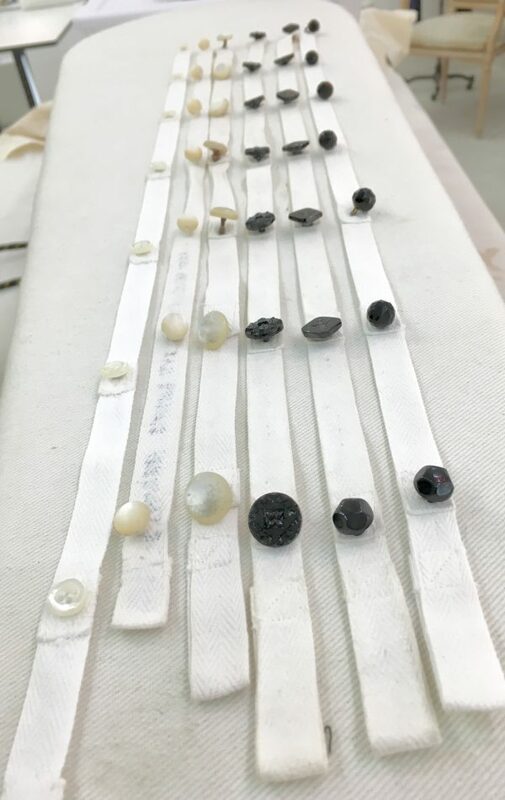 From left t right: black faceted jet, early 20th century, black engraved gilded jet, late 19th century, black carved jet, late 19th century, mother of pearl, mid 19th century, mother of pearl ball buttons, early-mid 19th century, modern mother of pearl, circa 1995. 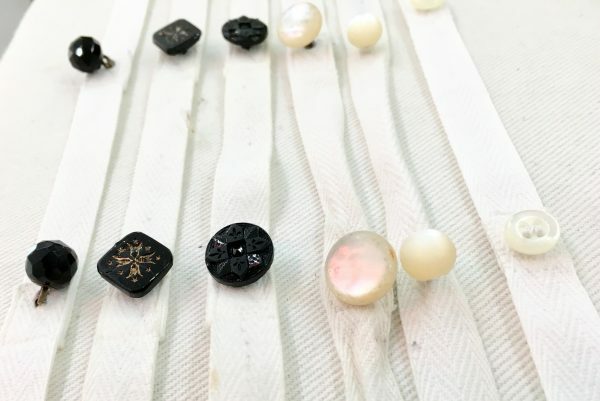 We recommend making button plackets or bands with fancy, vintage, or antique buttons. 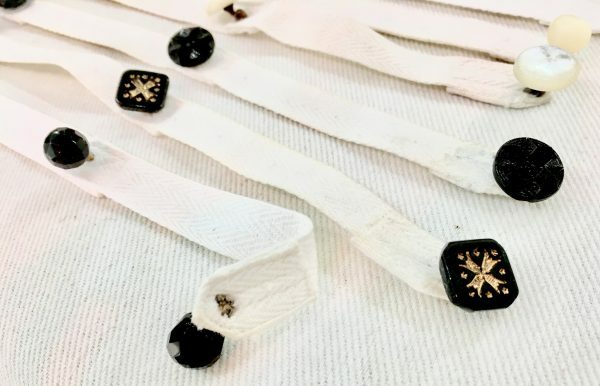 This solves the problem of losing pieces of a set and makes it possible to wear the same great buttons on multiple garments. But you have to be smart about it to get the most use. When you are sewing for yourself, this gets really easy once you have set up the system. 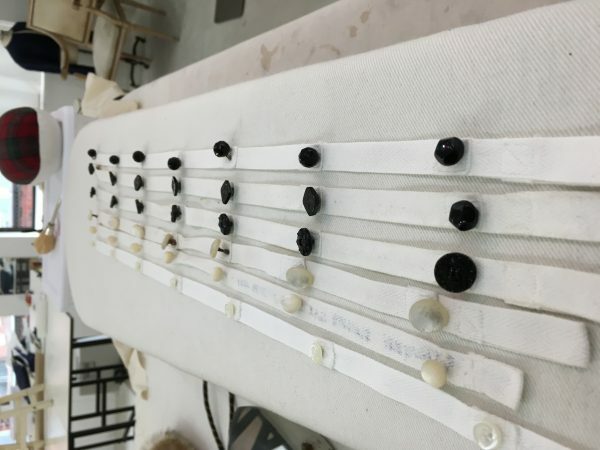 You will need to standardize your button spacing and placement across all garments that you want to use the plackets on. We use a buttonhole spacing of 3 1/2 inches between buttonhole centers for all of our men’s dress shirts and most of our women’s garments that need buttons. Sometimes we shorten it on the women to 3 inches. When we are making the plackets, we then build them so that the button spacing is 3 5/8 inches. This allows for a little ease in the button placket itself and keeps it from binding. Buttonholes duplicate each other in spacing on both the right and left sides of the shirt. On some modern tuxedo shirts you will see a regular button sewn to the buttonhole on the right (dexter) side; this is fine, but using that button will wear the buttonhole it is sewn to a bit. When we make custom shirts, we always use this method – making up three or four different plackets to go with it in case the customer wants a different look. To do this, you will need to make or note your personal preference for buttonhole spacing. 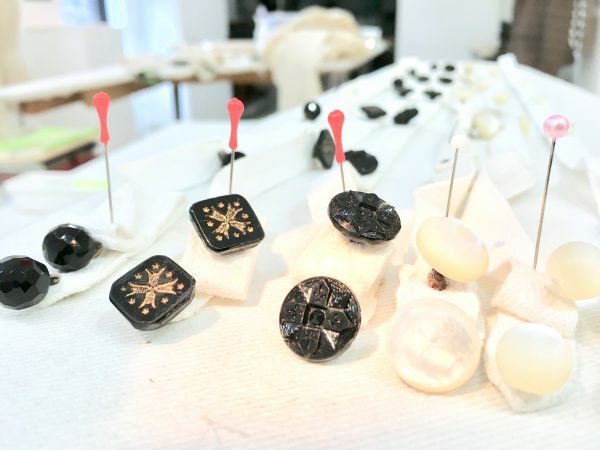 You want it to be as universal as possible with the understanding that there are some garments you will just have to permanently sew buttons to. 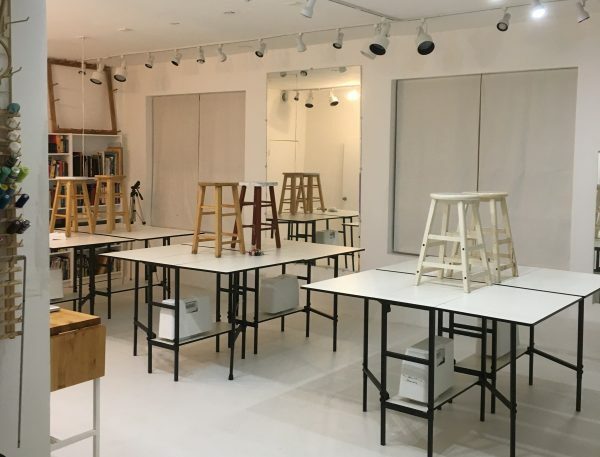 These are sewing classes in Chicago, after all – not magic classes in Chicago. We use either 3/8 inch or 1/2 inch twill tape. You could use any flat ribbon or trim, but we almost always have a good supply of twill tape. You will want to pre-shrink it twice by throwing it into the wash and drying it in the dryer. If you set the buttons before the tape or ribbon has shrunk, you will end up with a sad short placket. We like to use 7 buttons per placket for most things, but your mileage may vary here according to your frame and tastes. If you have at least two leftover buttons, you can connect them with a couple of others (they need not match) to make matching cufflinks. 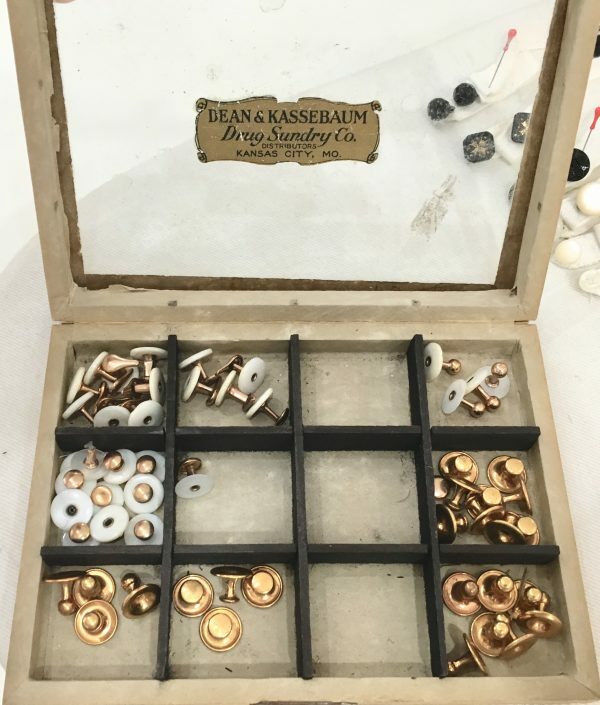 This allows you to either use really nice vintage or antique buttons on any kind of closure and not worry about “wasting” the button on this garment or that or what the sadists at the dry cleaners are going to do to 120 year old jet facets (it is almost never pretty). 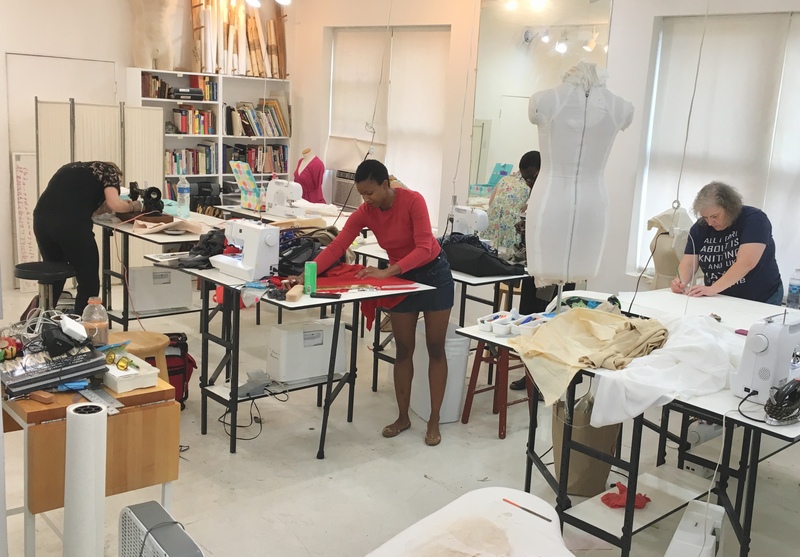 Previous Post: Open Sewing Sessions for the Summer!